NIAF corporate sponsorships are for-profit businesses, organizations, foundations or groups that join in an ongoing relationship to provide programming, benefits or services to our membership reflecting and supporting NIAF’s mission. This is a formal agreement that mutually serves the interests of both NIAF and the corporate sponsor. 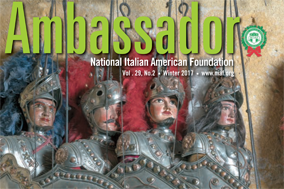 For more information, contact Gabriella Mileti at gmileti@niaf.org or call 202-939-3116. Learn Italian with Babbel, the online app that’s helped millions speak with confidence. Babbel makes learning languages fun, easy and accessible to everyone. Developed by language experts, Babbel gets you speaking real-life conversations from your very first lesson, and the revolutionary 15-minute bite-sized lessons fit seamlessly into your schedule. Founded in 2007, Babbel offers 14 languages–including Italian, Spanish, and French–and is proud to also have served millions of users from Italy, one of its largest markets. ByItaly is an online store based in Perugia which brings authentic Italian quality food and wine to customers all over the world. Founded in 2012, ByItaly started as an enterprise of a small group of friends and has now grown into an online marketplace, delivering more than 1000 products internationally. Thanks to ByItaly, small producers are able to reach markets that have been out of range and customers can get Italian delicacies delivered to their doorstep that they could never find in their local supermarket. ByItaly believes in the strength of Italy and its local farmers and their excellent products. All the products are “Nonna approved”- by 80-year old Nonna Anna, the grandmother of one of the founders of ByItaly. CyberItalian Inc. was founded in 1997 by two partners who followed a vision: take advantage of the new emerging technology, the Internet, to offer – to as many people as possible – an innovative, flexible and effective method to learn the Italian language, discover the Italian culture and enrich their lives. Cyber Italian is the premier online Italian language school. The concept of Gioielli Dop comes from an idea of Giovani Gioiellieri d’Italia, the first Italian independent association gathering second generations of jewelers. On the occasion of the EXPO2015 in Milan, the Association intended to contribute to the enhancement of the Italian food culture by interpreting the “3Bs” of the Made in Italy in a sparkling way: the Bello (Beautiful), the Buono (Good) and the Ben Fatto (Well done). They have interpreted the contemporary mood of the collection and have transformed local food delicacies in small masterpieces in sterling silver and enamels. Gioielli Dop composable jewelry is inspired by the colors of Positano, the flavors of the Mediterranean food tradition, the Sicilian School of Pastry, the ancient culture and memories of the Magna Graecia, on the east coast of Calabria. Alongside local delicacies, from pizza to sfogliatella, from prosecco to cannoli, through burrata and pasta, the bracelets are the trait-de-union of an Italian Grand Tour: the gondola from Venice, the mask of Pulcinella, the Colosseum. Colors, flavors and Culture to wear. Granoro is a pasta and specialty Italian products company based out of Puglia, Italy. Founded in 1967, Granoro continues in the footsteps of its founder, Attilio Mastromauro, and his family, who have been making pasta since before World War I. Of the more than 150 different types of pasta produced by Granoro, all is produced with the highest quality durum wheat semolina, which has been carefully selected and tested in order to provide customers with the excellence they expect from a true Italian pasta company. Granoro believes in the value of history and tradition when it comes to its products, and is committed to prolonging the health of families worldwide through the food they provide for your dinner tables. 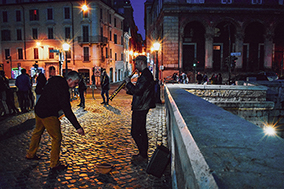 La Bella Italia Tours is a boutique travel company that offers unique, off-the-beaten-path itineraries to Italy for escorted group travel and custom private travel for groups of friends, couples and families. Whatever your travel needs to Italy are, let La Bella Italia Tours plan your experience and take you there. La Cucina Sabina offers a seven day / six night cooking vacation in the tranquil Sabine Hills of Italy, combining cooking lessons, food, culture, exclusive excursions and fun into a vacation of a lifetime. Lodging, airport and hotel transfers and all meals, including wine pairings, are provided during your stay as well as culinary and cultural excursions. Cooking will focus on authentic Italian cuisine, regional recipes using only the freshest, seasonal and authentic farm-to-table ingredients. Lessons will include antipasto (appetizers), pastas, vegetarian dishes, meat and seafood dishes, cooking pizza on our outdoor oven, dolci (desserts), gelato, and more. Excursions provide access to exclusive venues such as private roof top apartments for dinner, lunch with winery owners, tour of Tivoli garden with lunch, olive oil tasting and private castle tour with wine reception. Each of the 8 bedrooms in the La Cucina Sabina villa has its own spacious en-suite bathroom and shower. Transfers are provided to and from Rome Airports and the main train stations to the villa in Sabina, just minutes north of Rome. Since 1875, Italian cookware brand Moneta has been part of the everyday lives of generations of families, becoming a symbol of Italian excellence in the kitchen. Moneta offers a wide assortment of cookware, with various designs, styles and finishes in both non-stick and ceramic coatings in order to meet consumers’ needs and preferences. Their distinctive approach builds its foundation in advanced technologies, user-friendliness and Italian style. In July of 2015, Alluflon/Moneta teamed up with Range Kleen Manufacturing to make Moneta readily available to the U.S. market, aiming to deliver quality, value innovation and a heritage of caring to the U.S. consumer. Travel to Italy via your kitchen with a subscription to Nonna Box! Each month, you’ll receive a box that features a different Italian region and six of its traditional imported products from producers of that region. In showcasing each part of Italy, Nonna Box brings foodies closer to the country via its flavors, gastronomical history, and the monthly story of a regionally local Italian nonna and her favorite traditional recipes. At Nonna Box, they believe there is so much more to Italian food than just preparing a dish of pasta. There’s the uniqueness of each region’s gastronomy; the history and tradition behind the food, its production and preparation; and of course that personal culinary touch passed down through locals’ stories and recipes. It is Nonna Box’s mission to bring these elements together, making it possible for each of us to experience the essence and variety of Italian cuisine while at our very own dinner tables. 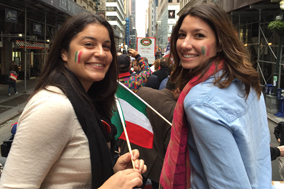 The Roots ‘n Tours mission is support our Italian American friends to discover their family roots through an exclusive and unique journey. Roots ‘n Tours make tailored experiences to get back in touch with close family and distant relatives, places, tastes and traditions. 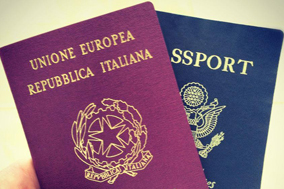 Starting from the genealogic information (provided us and/or to find by a specific research), we organize a customized journeys and exclusive access to the best of Italy (the region of origin) through the eyes and the life of the local people who in turn become exceptional guides and collaborators. Sant’Anna Institute is a globally-oriented institute that provides tailor-made educational programs. Founded in 1999, Sant’Anna resides in the historical center of Sorrento in a converted convent that overlooks the Bay of Naples. Sorrento is a quaint town with a cosmopolitan feel; a safe, walkable and picturesque center of international tourism with an international population. It is the ideal location for the adventurous student who would like to experience the heart of southern Italy during his/her study abroad program. With thousands of favors to choose from, Santa Rosalia Favors has become the favor company of choice for countless events across the United States. Specializing in custom, handmade Bomboniere, that date back centuries to Italy, Santa Rosalia Favors strive to ensure that their products remain true to original tradition. With favors that can match any theme and budget, and exceptional personalized service, they will help to make your special day as stress free as possible. Some of their most popular items include: Picture Frames, Wine Stoppers, Compact Mirrors, Murano Glass, Candles, Bottle Openers, Espresso Sets, Porcelain & Ceramic, and Religious Favors. It truly is Santa Rosalia Favors’ pleasure to share life’s special moments with their customers, and they look forward to helping you out on your next occasion. Discover the vibrant variety and beauty of Italian craftsmanship through a curated collection of fine dinnerware, tiles, panels, pewter tabletop and flatware, table linens, hand forged knives and home décor accents. Collaborating with the best Italian artisans, thatsArte.com offers bespoke products and an exclusive free personalization service, directly from Italy. Weddings in Tuscany’s sensibility to individual needs and great attention to detail ensure impeccable personalized service. Discretion and confidentiality underscore their commitment to professional excellence. As flexible as they are precise, Weddings in Tuscany focus on experience and innovation, not formula and routine, to make each event unique. Their ultimate goal is to help their clients fulfil their wishes and dreams. This is why we take a limited number of events every year to ensure the highest level of service and integrity in each event. You deserve to simply show up on the day and have nothing else to worry about besides marrying your best friend and having the time of your life! Principal event planner and owner Chiara Sernesi, and her team, are dedicated to creating unforgettable wedding celebrations, corporate functions and special events for those who desire a destination with the kind of charm that only Tuscany can offer.